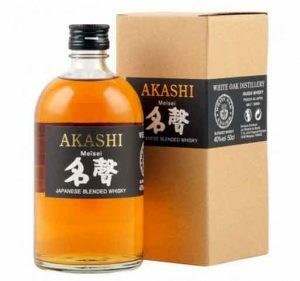 The Akashi Blended Whisky (Black) is a blend of 35% Malt, and Grain whisky (made from wheat & barley). 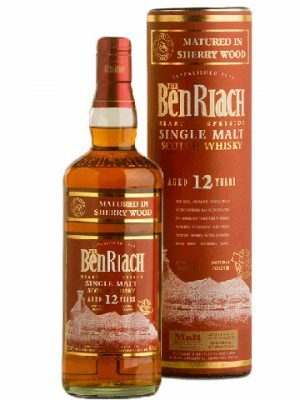 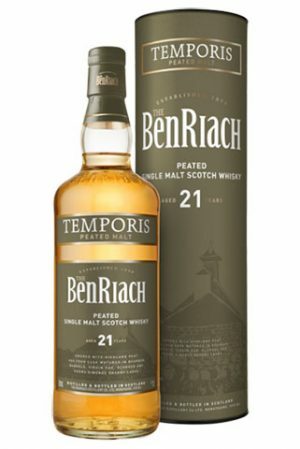 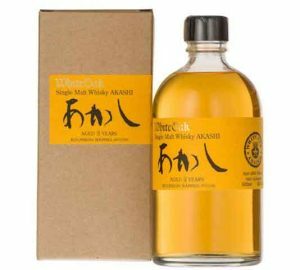 This is whisky blended in the scotch tradition, with Japanese precision, the malt is lightly peated, and vatting is mostly ex-bourbon, balanced by White Oak’s unique variety of barrels. 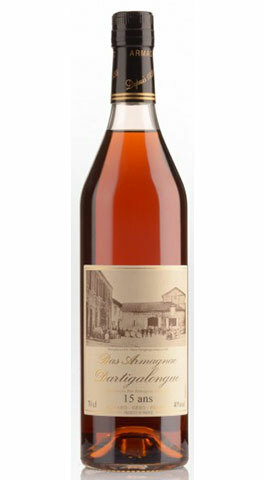 Non-chillfiltered. 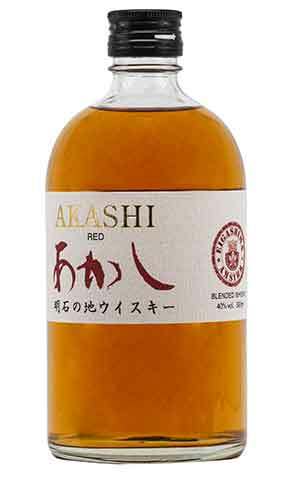 "The nose is very fruity with apricots and dried fruits, and a shy note of honey"
Akashi Red is a whisky blend produced from both malt and grain whiskies. 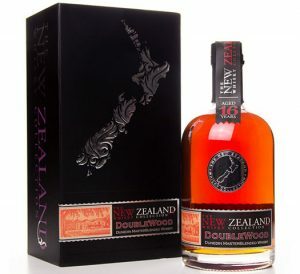 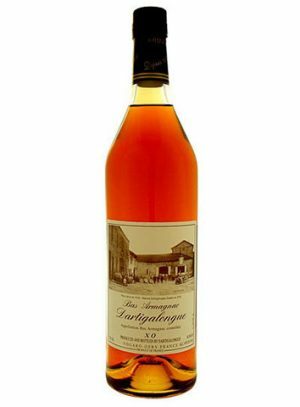 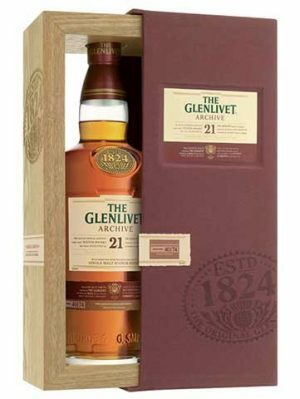 This is a light and fruity whisky with notes of peach, almond and grape. 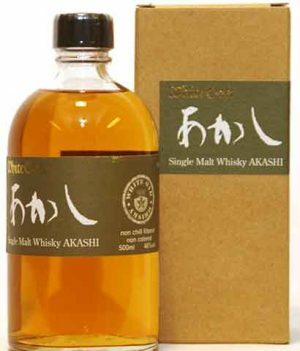 A limited version of Akashi blended Japanese whisky from White Oak. 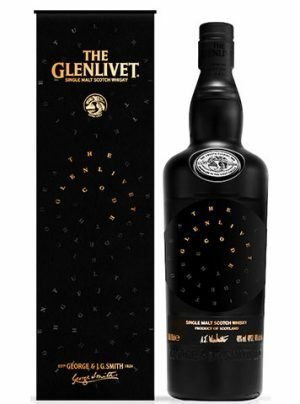 Meïsei translates roughly as 'celebrity' in Japanese and is made with 45% American oak matured, single malt. White Oak, Akashi, Signature Single Malt is a blend of 7 year, 5 year and 4 year malts, from 3 different types of cask, Spanish Cherry Oak, American Oak and Bourbon Oak casks. 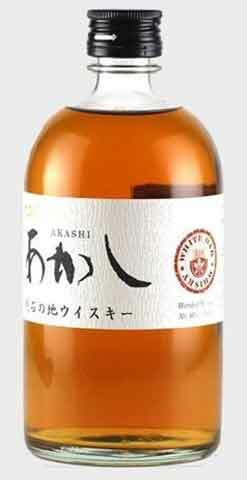 This ‘Akashi, 'No Age Statement’ addition to the White Oak portfolio is set to become the distillery’s flagship malt. 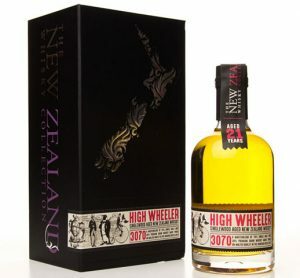 No chil-filtering or colour added. 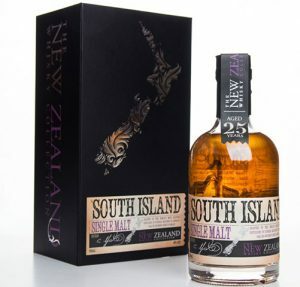 "Smooth with lots of yellow apple, powder sugar, angelica fruits with hints of sea air"